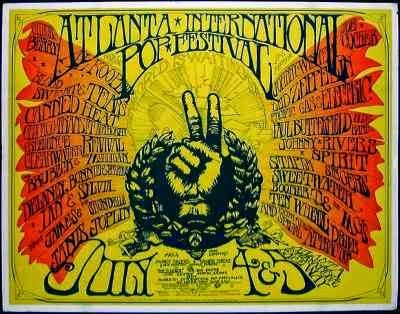 On the 4th of July a bunch of us Army brats grabbed a car and made our way from Ft. Benning GA to a raceway 20 miles south of Atlanta...not very far...we had 1 day planned out as we were so young and failed to alert our parents of our idea.... I was 14 my friend Brian the driver was 16. My best friend Cindy and her friend Kevin rounded out our group. Cindy was a Martha Stewart type....We had 2 big coolers full of cans of pop, water, snacks and ice. Thankfully there was 4 of us to carry these things. 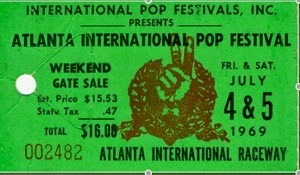 The first Atlanta International Pop Festival was a rock festival held at the Atlanta International Raceway in Hampton, Georgia, twenty miles south of Atlanta, on the July Fourth (Friday) weekend, 1969, more than a month before Woodstock. 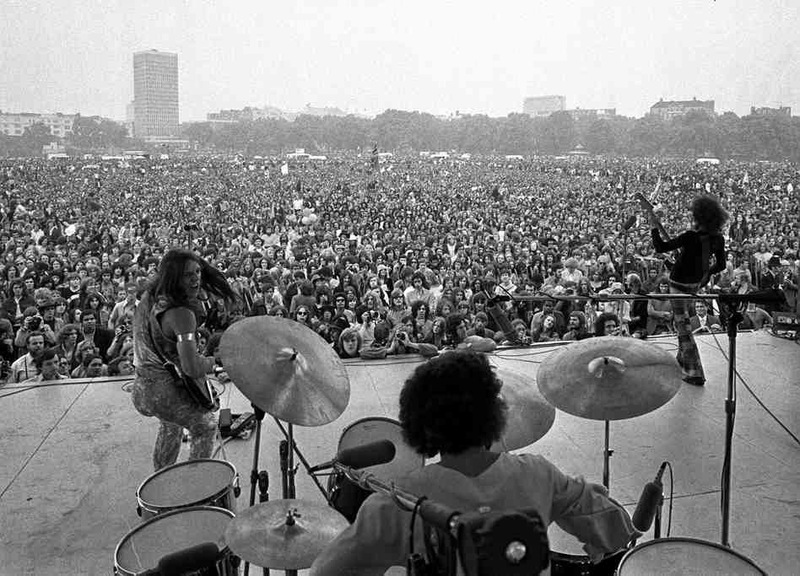 Crowd estimates ranged from the high tens of thousands to as high as 150,000. With temperatures nearing a hundred degrees, local fire departments used fire hoses to create "sprinklers" for the crowd to play in and cool off. 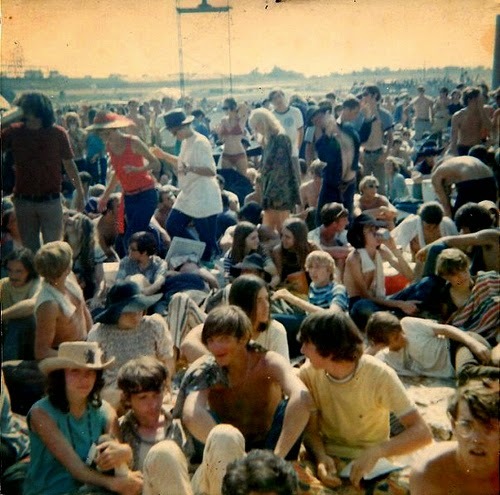 It was a peaceful, energetic, hot and loud festival with few (if any) problems other than heat related. Concession stands were woefully inadequate. Attendees frequently stood in line for an hour to get a soft drink.